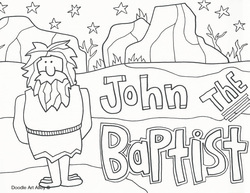 John the Baptist is the son of Zacharias and Elizabeth. 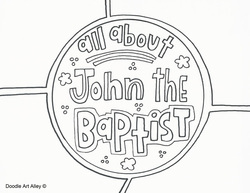 His birth and the nature of his ministry were announced to John's father by the angel Gabriel (Luke 1:5-25). He lived in the desert until the time arrived for his ministry to prepare the way for the Savior. He later baptized Jesus.